Who doesn't like owls? Especially an owl enjoying a party! 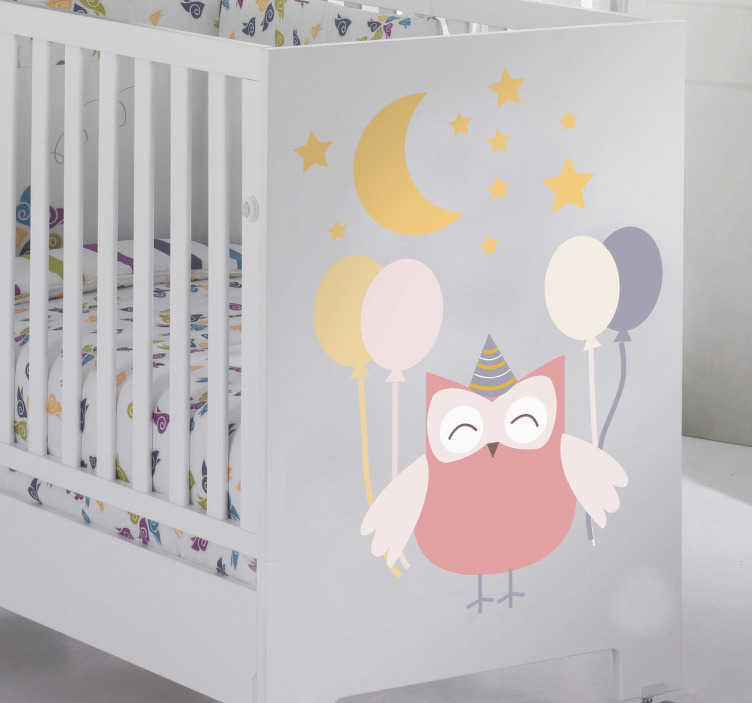 This creative design from our owl wall stickers collection is perfect for kids. If your children love animals such this happy cute owl then decorate their room with this decal. Your children will love this fantastic design. You can place this high quality sticker on any smooth surface. A playful and fun illustration of a party owl with balloons under the moon and stars. Are you tired of empty walls or empty spaces? Well you could use some wall decoration to fix that. You can use this marvellous owl wall art decal to obtain an enjoyable atmosphere for you and your children. This owl decal holding balloons is available in various sizes. Made from high quality vinyl. It is also very easy to apply and easily removable. Suitable for personalising furniture, appliances, devices and more.